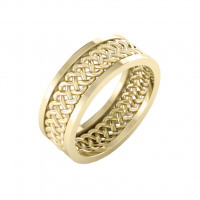 Soft curves and simple yet strong Celtic knot patterns decorate our artfully curated selection of women’s Celtic wedding bands. The Celtic culture’s historic love of the earth, community, and family are carefully wrapped up in each of our Celtic band designs. 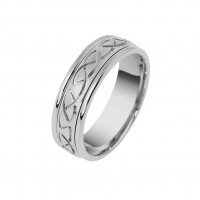 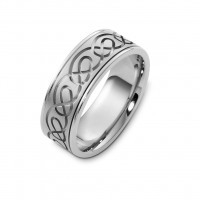 Celtic knot patterns are recognized the world ‘round as the epitome of infinite love and life. 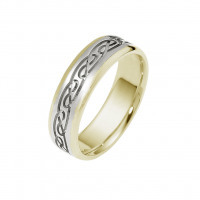 The discerning bride will surely find her perfect match in Timeless Wedding Bands’ collection of women’s Celtic wedding bands. 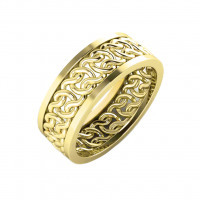 We offer open-work designs, richly carved solid rings, two-tone rings, and an impressive array of width options. 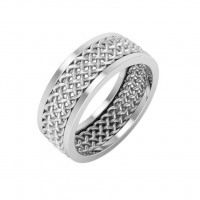 All of our Celtic wedding bands will be as long-lasting and comfortable as the lifetime of love they represent.